What: While attending a party at James Franco’s house, Seth Rogen, Jay Baruchel and many other celebrities are faced with the apocalypse. Why: Seth Rogen and Evan Goldberg’s directorial debut is shaping up to be one of the most talked about movies of the summer. In addition to its core cast – made up primarily of Judd Apatow regulars like Rogen, Franco, Hill and Baruchel – the film boasts a veritable who’s who of Hollywood stars playing exaggerated versions of themselves, including Michael Cera, Rihanna and Emma Watson in what might be the cameo of the year. And that’s just the ones we know about. 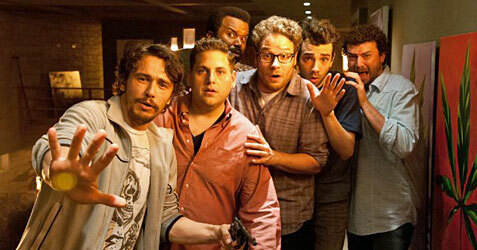 Though there doesn’t seem to be very much to the story, this is one of those instances where just putting these six guys into a room together should result in plenty of laughs, especially if they’re given as much free rein to improvise as you’d expect with Rogen behind the camera.